We design and sell GREAT emergency vehicle lights! The engineering department at ETD keeps a keen eye on the market, then develops innovative products. 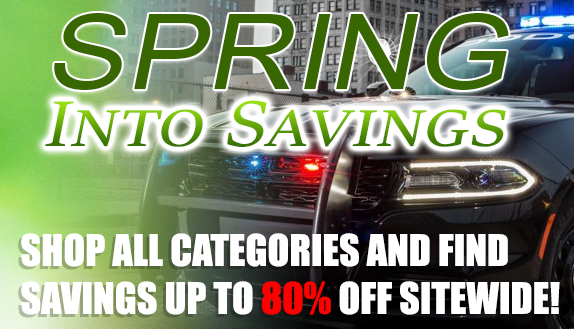 We’re the company that has SET THE STANDARD for high quality, cutting edge emergency vehicle lighting, strobes, police lights, and a whole lot more. And we’ve been selling our wide range of products at rock-bottom prices, since 2005. ETD has just about every type of emergency, firefighter, and flashing lights you could ever want...as well as tow truck, construction, security, and OFF-Road lights, too! No matter what you need, our online store has just what you are looking for. EVERYONE! From police and fire departments to rural and urban municipalities, from volunteers to large corporations and private individuals, ETD supplies them ALL! We’re a SAM-approved Government Vendor; we sell to the United States Armed Forces and Federal Agencies. We design and sell GREAT emergency vehicle lights! The engineering department at ETD keeps a keen eye on the market, then develops innovative products. Wait ‘til you See What’s Coming, Very SOON! There’s nothing like it on the market! Can’t wait to find out what’s in store? Subscribe to our Newsletter or follow us on Social Media... and YOU’LL be one of the first to know! Watch our customers ‘strut their stuff!’ ETD has lots of satisfied clients who have sent us their ‘demo’ videos that show how they have installed our lights on their vehicles. This Visor light is absoloutly amazing. I can not believe the amount of light it puts out. I love the takedown option it is so bright. I also like that this cost a lot less than the competitor. Thank you Extreme for great lights. I bought 3 of them. I hardwired them to my existing control box. I put one in the front dash and I put two in the rear deck of my POV. What amazing brightness.